USB3.1 to SATA3.0 provides the transfer rate up to 10Gbps, support UASP acceleration protocol, (*To enable UASP speed-up, your computer needs to support the UASP protocol). 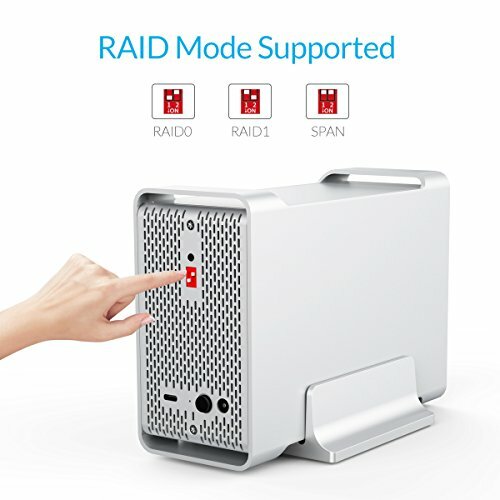 Adopting SATA3.0 RAID chip solution, support RAID 0, 1, SPAN(JBOD) a variety of disk array mode. Satisfy different users' requirements and can be used in homes or enterprises. The whole body is made of aluminum alloy, surface sandblasting anodizing process. Large area meteor hole design brings very good heat dissipation performance. 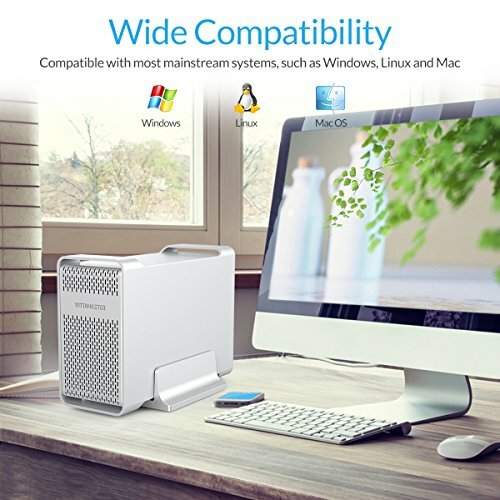 Suitable for all standard 3.5" HDD hard drive, Compatible with Windows, Linux and Mac OS system. Support hot plug, plug and play, LED indicator monitoring, you can monitor your hard drive working status any time. 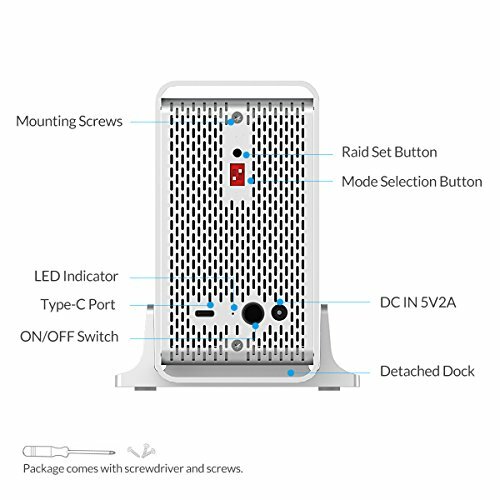 1,D Series Family products are not tool free design enclosures, they all come with screws and screwdriver, it will be more stable. Plus! 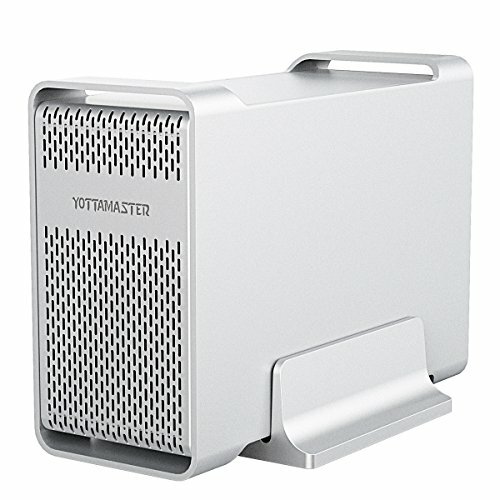 18-month warranty and lifetime technical support when you purchase via Yottamaster Direct Store. 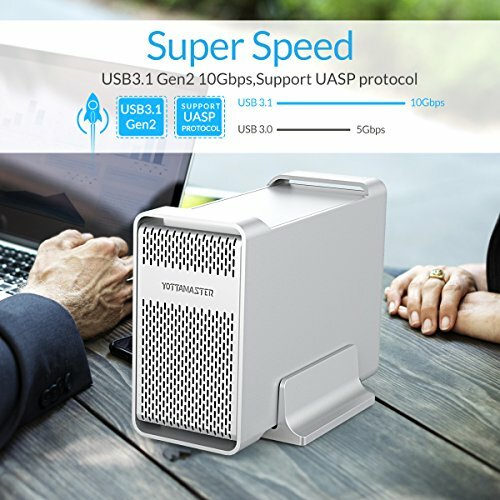 High speed USB3.1 Gen2 10Gbps transport protocol, support RAID 0, 1, SPAN(JBOD) multiple modes; UASP protocol increases speed by 20%, reducing waiting time. 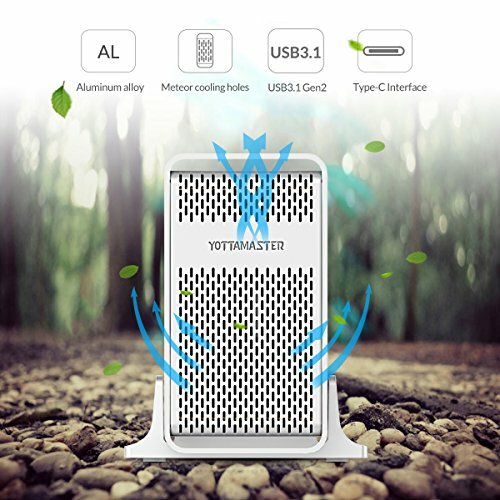 The whole body is made of aluminum alloy material, large area meteor hole design, which can provide better heat dissipation performance. Supporting single disk up to 10TB and 2 bay a total of 20TB, compatible with all standard 3.5 inch SATA HDD hard drive. 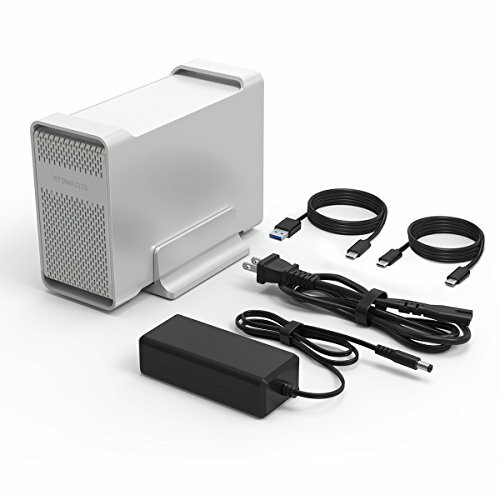 Package comes with 12V4A power adapter, which can provide strong and stable power for your device, and 1xType A to Type C data cable(5Gbps)+1xType C to Type C cable(10Gbps). Adopting ASMedia ASM1352R Chipset, reliable professional USB3.1 10Gbps program, fly your transfer speed. If you have any questions about this product by Yottamaster, contact us by completing and submitting the form below. If you are looking for a specif part number, please include it with your message.